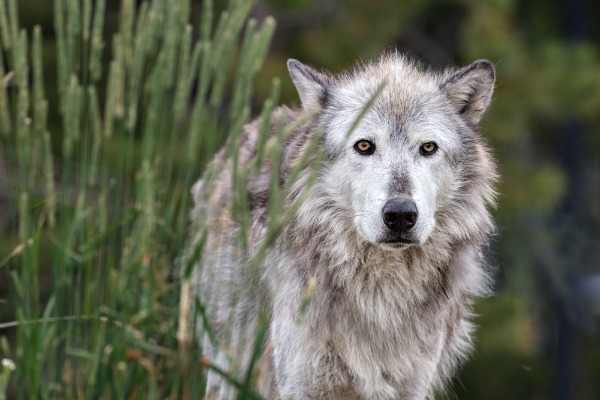 For the first time in more than 70 years wolves have been re-introduced into the park and their return to Yellowstone has had a surprising and positive effect on this unique ecosystem. One of the best ways to try and spot wolves is with the guidance of a trained wolf tracker. The guides have spent their whole lives working with wolves, so you can rest assured that you are in the best hands when it comes to tracking them down. One of the best times of the year to spot these majestic beasts is in winter, when the pristine landscape is covered in a layer of snow and there are fewer tourists in the park. Our Yellowstone Winter Wildlife tour visits Lamar Valley a section of the park that has become one of the most densely populated wolf habitats in the world, and with a wolf tracking guide included you have a very strong chance of seeing these elusive creatures. British Columbia is one of the richest wildlife viewing areas in Canada. Bird lovers will rejoice when they visit BC as over a million birds migrate on the Pacific flyway every year, from Trumpeter Swans to Green Herons. But, the real draw here are the bears, with the majority of our Canadian tours offering ample bear viewing opportunities. A visit to Bella Coola on our Canada Wildlife & Vancouver Island tour provides a fascinating surrounding to view the Grizzly bear. See bears from the water on our Whales & Bears of British Columbia tour, where you will spend the day spotting Grizzlies on a full day excursion on the Orford River. 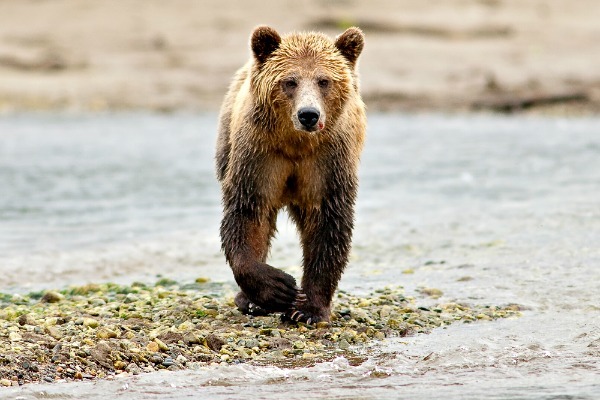 Orford River is home to the largest concentration of Grizzly bears in British Columbia and it is not uncommon to see over 35 Grizzlies within a 7 kilometre stretch. Along with the bears you may also see killer whales, porpoises, seals and deer. The best time to view bears is from mid-August to October, when the rivers are filled with salmon. With eight different species of whale frequenting the shores of Alaska there is no wonder that whale watching is one of the most popular activities on any trip to Alaska, with orcas and humpbacks being the most commonly sighted. The summer is the best time to spot these gigantic creatures and your best opportunity to see them is on a cruise. Our Alaska, Wildlife & Wilderness tour takes you on an insightful cruise through Resurrection Bay which lies on the Kenai Peninsula. Here you will be truly humbled by the sight of orcas playfully swimming next to the boat and if you’re really lucky you may spot the elusive Humpback whales. 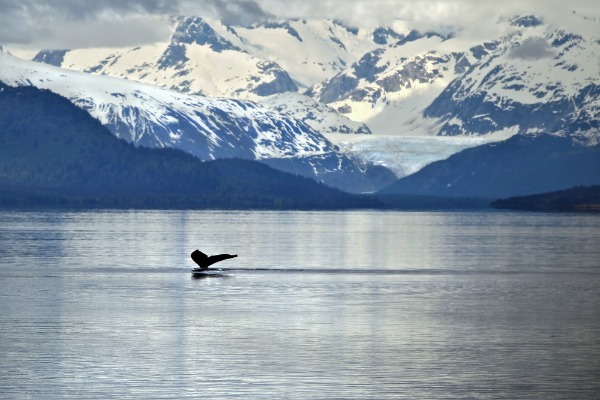 Alaska sure does put on one spectacular show when it comes to wildlife and aside from the whales you will also find other sea creatures and lots of birdlife. The wildlife doesn’t just end with the ‘big 3’, and as you get out there and explore the vast continent that is North America, you will just keep on ticking wildlife off of your list. Watch on as Bison meander their way through bubbling pools and geysers in Yellowstone National Park; look up in Glacier National Park and see the iconic American Bald Eagle soaring right above you, and look down as the extremely cute Columbian mountain squirrel scurries past! North America is definitely full of creatures both great and small! With all of our wildlife tours, we aim to take you further off the beaten track, taking you to key locations where animal sightings are more frequent. Our tour leaders are just as passionate about seeing the wildlife as you are, and they will often try and keep in touch with Park Rangers.